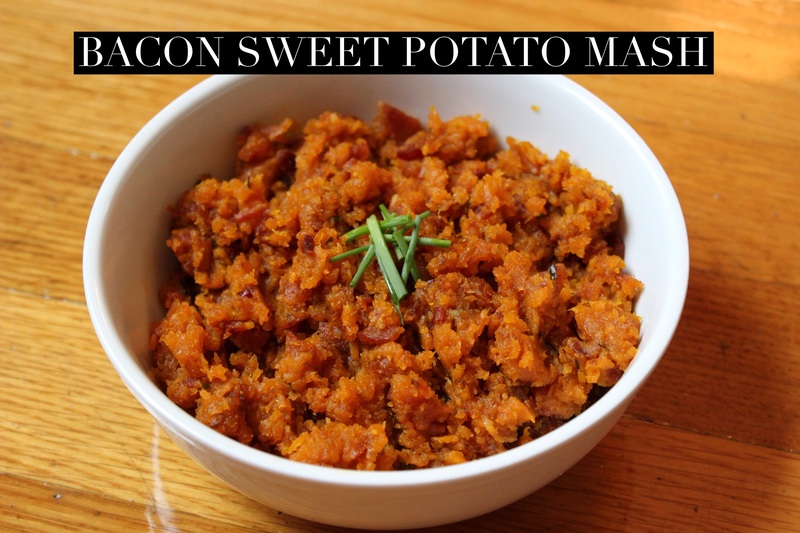 A savory way to get your bacon fix, while also getting your daily does of vitamin A from the sweet potatoes! Cook bacon in skillet over medium heat. Meanwhile, peel and shred sweet potatoes in food processor. When bacon is done, keep the bacon fat in the skillet, but remove the bacon and set aside. Add sweet potatoes, chives, and garlic salt to skillet. Stir-fry over medium heat until potatoes are cooked through and mushy. Crumble bacon over potatoes and mix to combine. Serves as a side dish for breakfast, lunch or dinner!